Wednesday 9th September: Daily technical outlook and review. Buying/selling tails – essentially we look for a cluster of very obvious spikes off of lower timeframe support and resistance levels within the higher timeframe zone. Candlestick patterns. We tend to only stick with pin bars and engulfing bars as these have proven to be the most effective. For those who read our previous report on the EUR/USD http://www.icmarkets.com/blog/tuesday-8th-september-daily-technical-outlook-and-review/ you may recall us mentioning to keep a close eye on 1.1150 for potential buy trades yesterday. As can be seen from the chart, price reacted nicely to this barrier and did in fact reach target. Well done to any of our readers who managed to lock in some green pips from this small move! In light of price now trading around 4hr supply at 1.1242-1.1212 right now (surrounds a daily swap (resistance) level at 1.1214), where do we see this market heading today? Well for starters, the approach to the current 4hr supply zone is interesting (blue trendline). Check out how each time price rallied higher a spike lower was seen to collect unfilled buy orders, thus suggesting weak bids below price. On the contrary, the majority of offers may have already been taken out within the current 4hr supply (black arrow), which could potentially weaken the chances of a second rebound from here. The next fresh area above comes in around the 1.1279/1.1300 region which lines up perfectly with the underside of weekly supply at 1.1532-1.1278. So, in a nutshell our team’s bias remains short on the EUR pair for the time being. Areas we have our eye on are the aforementioned 4hr supply zone, and also 1.1279/1.1300. Both zones have the potential to hold price lower in our opinion, but just to be sure, we would recommend only entering short should lower timeframe confirmation also be present. Sells:1.1242-1.1212 [Tentative – confirmation required] (Stop loss: dependent on where one confirms this area) 1.1279/1.1300 [Tentative – confirmation required] (Stop loss: dependent on where one confirms this area). Early on in yesterday’s trade an unrelenting squeeze to the upside took place reaching highs of 1.5412 on the day. Consequent to this recent advance, offers at 1.5256-1.5294 and also 1.5300 were taken out. It was only once price connected with 1.5400 mid-ways through the London session did we see things begin to calm down. 4hr action shows price not only trading at psychological resistance 1.5400, but is also flirting with the 38.2% Fibonacci barrier around the 1.5409 mark. Price on the daily timeframe is now kissing the underside of daily supply given at 1.5435-1.5384. On the weekly timeframe, we can see that trade is lurking only fifty pips below a weekly swap (resistance) barrier coming in at 1.5451. Granted, price is currently trading around daily supply (see above), but just above it, the aforementioned weekly swap (resistance) level lies in wait. Anyone smell a fakeout brewing? Price action at 1.5400 is not exactly what we’d label credible at the moment. In fact, considering that there is little in the way of support below current price, we would have expected more red candles to paint. With the above taken into account, we are going to continue watching for lower timeframe selling confirmation around 1.5400. In the event that this level fails to hold, we’ll then cast our attention to the mid-level number 1.5450 which, as you know, is also the aforementioned weekly swap (resistance) level! Sells: 1.5400 [Tentative – confirmation required] (Stop loss: dependent on where one confirms this level) 1.5450 [Tentative – confirmation required] (Stop loss: dependent on where one confirms this level). Aussie dollar bulls were on fire yesterday, taking back some of the losses that were seen during last week’s trade. 4hr price action cleared out offers around the large psychological resistance 0.7000 with little to no trouble and reached highs of 0.7039 on the day. 61.8% Fibonacci resistance coming in at 0.7055. Descending channel resistance extended from the high 0.7249. Daily supply drawn from 0.7061-0.6991. Seems like a perfect sell zone, right? Not quite, we still have to take into account that price is trading from weekly demand at 0.6768-0.6942. This, at least in our opinion, does not mean we cannot look to take a short from 0.7050 today, all it means is we have to tread carefully. And the best way we know how to do that is simply by WAITING for lower timeframe confirming price action. Sells: 0.7050 [Tentative – confirmation required] (Stop loss: dependent on where one confirms this level). Going into the early hours of European trade, a strong wave of bids rippled through the USD/JPY market from 119.00, sending price 100 pips up to 120.00. For those who read our previous report http://www.icmarkets.com/blog/tuesday-8th-september-daily-technical-outlook-and-review/ you may remember us mentioning that we were interested in trading a 4hr Harmonic AB=CD pattern that completed just below 118.38. As is evident from the chart, this pattern, at least according to our rules of engagement, has been invalidated – we insist on symmetry. All is not lost though, in fact, price appears to be in the process of not only forming another 4hr Harmonic AB=CD pattern that completes at 118.15, but also a potential three-drive pattern to go with it! We have not marked this on the chart as we try to keep the charts as clean as possible. It should be easy enough to see though as it converges nicely with our AB-CD formation. Potential support from the daily timeframe lurks around the 118.38 region. Like we mentioned in our previous analysis, the only grumble we have entering long from here is the possible weakness around the current weekly support zone at 118.22-119.25. The sharp pin seen stabbing through this area two weeks ago (black arrow) likely consumed a ton of active bids within this vicinity. Ultimately though, we do not believe this will be enough to stop price from at least giving a profitable bounce from the 4hr buy zone due to its impressive converging structures. Ideally we’re looking for 120.00 to hold as resistance today. We must admit we are tempted to look for shorts here; the only thing holding us back is the fact that buying pressure has recently been seen from the aforementioned weekly support zone. Therefore, at least for us, it is once again likely a day of sitting on our hands and hoping price sells off! Buys: 118.38/118.00 [Tentative – confirmation required] (Stop loss: dependent on where one confirms this region). Upon opening the 4hr chart this morning, we were confronted by a sea of red candles! The value of the USD weakened against the CAD in aggressive fashion, clearing out bids at 1.3250 and heading down towards the 1.3200 handle. With today’s BoC rate decision set to take the limelight today, volatility could be seen on this pair. Current price – 1.3200. Bids are likely weak here from the recent spike (black arrow) seen through it on the 04/09/15 at 1.3161. Below 1.3200 on the 4hr scale, we see little obvious support until the 1.3100 handle. Higher timeframe structures are, however,sitting in between 1.3200/1.3100: the weekly swap (support) level at 1.3128, and also the top-side of daily demand at 1.3125. At the time of writing, the only thing we can be confident of is that 1.3200 will likely struggle to hold in early trade. Concerning the BoC report itself, we will not be trading during this time. However, we will check out the aftermath and see if the volatility has pushed prices into the above said higher timeframe zones to potentially take a trade from. 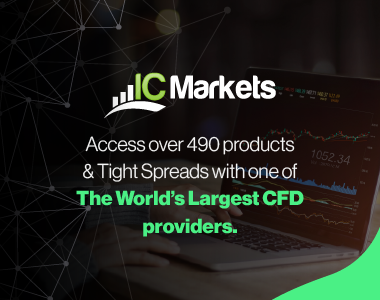 For those who read our previous report on the Swiss pair http://www.icmarkets.com/blog/tuesday-8th-september-daily-technical-outlook-and-review/ you may recall us mentioning to watch for price to fake above 4hr supply at 0.9788-0.9755 and connect with offers around the 0.9800 handle. As is evident from the chart, this move played out perfectly. Our team actually entered short on the close of the initial 4hr fakeout candle at 0.9787. Usually, we would wait for the lower timeframes to confirm this fakeout, but to us, this rejection candle was confirmation enough. Furthermore, let’s not forget that price is not only trading around a psychological number, it is also crossing swords with a weekly swap (resistance) level at 0.9796. Ultimately, we’re looking for price to connect with the 4hr swap (support) barrier at 0.9756, which will be where we liquidate 50% of our position. Following this, it would be fantastic to see a close below this level as we’re then likely heading towards 4hr demand at 0.9681-0.9705 – another 30% of our position will be liquidated here. It will be interesting to see how this plays out. Sells:0.9787 [LIVE] (Stop loss: 0.9822). Using a top-down approach this morning, we can see that price action on the weekly timeframe has so far rebounded nicely from weekly support coming in at 16051. Moving down to the daily timeframe, however, price remains hovering between daily support at 15723 and daily resistance at 16705. Turning our attention to the 4hr timeframe shows price currently flirting with the 4hr swap (resistance) level at 16475. Judging by the response seen at this barrier so far, and the fact that there is near-term 4hr demand (pink circle) lurking just below it at 16327-16392 we feel that offers here are weakening. In the event that a convincing break above this number is seen today, this could suggest further upside towards the aforementioned daily swap (resistance) level. Although the DOW is effectively being bought from weekly support (see above) at the moment, we see little reason why price will not bounce from this daily level. In addition, just below this level, there is a deep 4hr AB=CD pattern completion point at 16640 which could add weight to a possible bounce lower from here. Because of this, our team would consider trading a confirmed short from this zone today should the market reach this high. Sells: 16640/16705 [Tentative – confirmation required] (Stop loss: depends on where one confirms this area). Little activity was seen throughout trade yesterday on Gold. The weekly chart shows price still lurking just below the recently broken weekly swap level at 1130.1. Meanwhile, on the daily chart, price action remains loitering within daily demand at 1109.4-1122.7. Due to this seemingly lackluster performance, price on the 4hr timeframe continues to trade between a 4hr resistance zone at 1126.5-1124.8, and a 4hr demand area at 1109.4-1116.1 (positioned deep within the aforementioned daily demand). Of course, one could attempt to trade this 4hr range at the extremes today. However, before doing so, we would highly recommend waiting for corresponding lower timeframe confirmation. The reason being simply comes from price regularly faking above and below range extremes. With everything considered, our team remains wary of this market mainly due to the opposing signals we’re receiving from the higher timeframe structures (see above). On that note, our team will place this market on the back burner during today’s sessions, since taking a trade when one is unsure is as good as burning money, as emotions will really play tricks on you!